Thanks to Heenicks_ on this thread it was brought to my attention that my transmog list had quite a few vendor items which had high price thresholds. Of course, I've now updated my transmog list to include Vendor as a source, as well as my usual regrouping by price. This of course will probably tank prices on the vendor gear in the long run, but if you want to try and trick your competition who did not update their lists to purchase these items, then now's the time! I may restructure based on the currency required to obtain the item from a vendor, but do not have the time to do so at the moment. Also keep in mind the DMF groupings are higher due to the time out from the DMF. These will likely continue to fluctuate based on when I pull the data. Hope you had a great holiday, and a happy new year!! That being said, I only have TSM 3 at the moment, and I've only actually tested importing the TSM 3 groups. They work swimmingly. If the TSM 2's don't work, let me know, but I'm pretty used to updating that list! This is a post I've wanted to do for a while, so buckle in kiddies, we're going for a ride. One of the most common questions I see from transmog selling beginners is "I've got X items, and I'm not getting many sales, what am I doing wrong?" The answer of course is nothing, granted X is insignificant, say less than a few hundred. Even in the hundreds, transmog can be slow. Transmog is slow. I also see people claiming they're going to farm a bunch of xmog and turn it around for a WoW Token before their sub expires in 3 days. Really? No. Sure, you can get a piece that's worth 11k, but your buyer needs time to find it. Now if you are trying to sell to sellers, then by all means mark it down low and lose lots of gold, but transmog is the Looooong Game if you're playing it right, and is not a quick turnover market. Transmog to me is not a market you get in immediately. At first you want to invest your gold in fairly liquid assets so you can reinvest, and get that delicious quickly compounding interest. Only when you have a sizable quantity of gold to invest, and are running out of options, should transmog be your go to market. That's not to say you cannot make gold off xmog alone. With 2k start up capital, and patience you can turn it into hundreds of thousands, but that key ingredient is patience and time. You do not want to tie up all your capital in transmog the same way you do not want to tie up all of your capital in mounts. It's just silly to put all your eggs in one long term basket. You want a nice portfolio of long term and short term strategies, to really optimize your gold's potential future value. When you decide it's time to invest in transmog, you need to understand unequivocally that you will probably be down gold for quite some time before making it back. Yes, you'll always see those success stories where the first thing someone buys is worth 10k, they spent 5g on it, and sold it overnight. Outliers happen. Just know that the key to transmog is amassing a large, diverse stock of items, and constantly reposting. Do not worry about items as individuals, but your stock as a whole, and have something else going while you're acquiring armor, or you will lose interest. These are not perfect price sources for all servers, which I expressed in my transmog video, but people tend to gloss over that. I do like to go off of the entire WoW population when pricing. The global averages give you a nice baseline of what something is potentially worth relative to other items transmog items. For example if Chestpiece A is worth 600g globally, and Chestpiece B is worth 1200g globally, I know that in general, people value Chestpiece B to be worth twice as much as Chestpiece A. That to me, in a perfect world (of Warcraft), would mean that using these sources at a percent optimized for your server would give you ideal pricing, but unfortunately that's just not the case. That's why I choose to use global sources personally, and lean towards the hypothetical, but if you're on a larger market, incorporating server specific prices can be extraordinarily useful too, as market prices will tend to behave a bit more on large servers. The bottom line though is that you need to experiment with price sources to find out what works best for you. I have been planning for a while on giving multiple examples of what different people are using for transmog pricing on my pricing page, but that will be up when I do my transmog video over for TSM 3. Hopefully this helps shed some light on some transmog misconceptions, and these are a few I want to address in my upcoming TSM 3 Transmog video, while also addressing the new transmog mechanic in Warlords (possibly separate videos). What else about the transmog market do you think people tend to misunderstand? 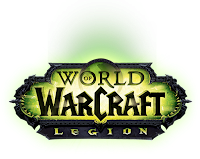 So the new WoW expansion has been announced and the buzz has begun. This article is going to be an opinion piece of my impressions of WoD gold making and what needs to change in Legion. WoD was supposed to be an ultimate revolution in gold making. From the beginning, early stages of the Alpha, we were promised a profession revamp, and there were many interactions between the developer Hwoo and the Consortium gold making community. You can go back and read some of the conversations if you'd like, but the basic gist from the gold making community at the time was we were being "heard" by the devs. We all had a sense of optimism heading into WoD that everything would be more interesting, and new challenges would arise from a "new profession system", and gold making had finally reached a golden age. Unfortunately, that's not what we were delivered. What we got at launch felt like a half-baked product, and left a lot of professions high and dry. Gold making with professions really took a hit this expansion. Maybe it took all those mindless shufflers out of the equation and left the market to those seasoned vets, but it killed the profitability and interesting choices of many professions. Jewelcrafting is probably one of the last professions someone will suggest now, and it had been a king for a long time. Not to say that one profession should be that OP that it's the default suggestion for new gold makers to have always, but they basically took it out back behind the shed and shot it in the head. Enchanting still had some profits, but slots were reduced. The 3 big crafting professions (Tailoring/LW/BS) were reduced to daily CD making machines, with not many interesting choices from there. Sure it was easier gameplay to not have to enchant/get a belt buckle/get leg armor for every new piece you got in a raid, but it killed some nice routes for those 3 big guys. The gold making game has become dull. There will be a quest line for each profession. There will be some system changes to professions as a whole to improve the UI and add new functionality. 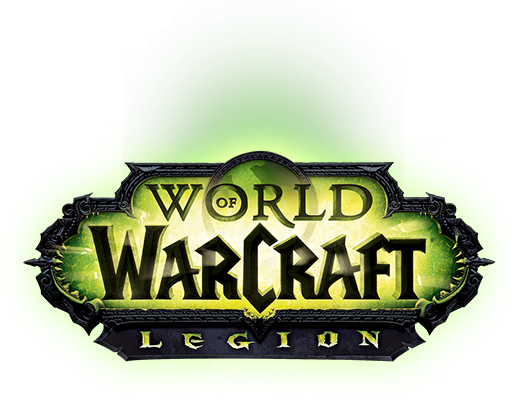 The professions team for Legion is the largest that Blizzard has ever had for WoW and lots of new things are coming. The team heard the feedback about Warlords professions. The quest line could be the same as this expansion, and honestly I did not find the quests all too interesting, and it didn't really add any gating, so they didn't help gold makers much. Thus far though, it seems like they're at least making some corrective steps to change professions, with the UI and new functionality (whatever that may be). It's nice to hear that they've got the largest team ever for professions, but that could just mean 2 interns instead of 1. I jest, but I'm hoping they stay true to that last point, and introduce some new and interesting profession choices and make sure that "no profession is left behind". All professions (sans gathering) should have interesting choices, and I hope they can accomplish that. What we were all expecting for WoD was a new professions system, not like Wrath -> Cata -> MoP where it was basically the same mold moved up an expansion, but a new system that would challenge what we knew about professions, and change how we thought about making gold. Creating new complex problems for us to solve and new and interesting choices to make. It really fell short of that expectation. I personally would love for Legion gold making to make me think again. For a beginner, it may still do that now, but once you get that formula down, it's mindless. I'd like new interesting problems to come out of Legion gold making, and I hope the Dev team can deliver. I also hope that the garrison theme does not continue with these class halls. They claim that the professions team has heard the feedback about Warlords professions, but I honestly hope they can move forward and correct them in a meaningful way, but only time will tell! What do you want to see the most in Legion gold making? Just a quick post to let you know I've got a new video on my YouTube channel. It's a video where I cover a new module to TSM 3, TradeSkillMaster_Vendoring. Check it out and subscribe to see the new TSM 3 videos in the works! Today I've got a nice little treat for you, I've released a sneak peak into all the new features of TSM 3. I made a video, I was aiming for it to be kinda short, but it ended up going on for 25 minutes or so. I rambled a bit, but I covered a lot of the great new features of TSM 3. If you want to check out the video you can find it at this link. If there's anything you want to see more in depth, feel free to leave a comment with ideas! Once again I've updated my transmog list to be current with today's global market prices. The defunct list is items below 150 I suggest not even bothering with, and in fact the 150-250 group may be worth avoiding as well. If you have any questions feel free to leave them in the comment section of this post and I will get to them ASAP! So the WoW Token was released on US realms this Tuesday, and it's been an interesting ride so far. If you aren't in the know, a WoW Token provides us goblins a way to pay for our WoW subscriptions using our favorite virtual currency - gold. WoW Tokens can be purchased from the auction house and have pricing based on demand and some super secret Blizzard formula. WoW Tokens started out at 30k gold. Right after the initial release, the price went up a bit, but fell below 30k and hasn't seen it since. You can personally track the WoW Token price on wowtoken.info, a site created by one of our favorite goblin enablers, Erorus, the creator of The Undermine Journal. Quick post just to let you know that there's a new official TSM module out to help support updating the in game addon prices via the TSM App. The new module is necessary to get the data from the most recent version from the app, and will be essential moving forward. I've added it to my download package for the TradeSkillMaster Suite, and if you want to learn more and/or leave feedback about the new app, you can do so on this thread from The Consortium. Don't forget to manually update AuctionDB and Wowuction (they will show as modified). Having old versions will cause errors! So Blizzard has officially announced that the WoW Token is coming out Soon.™ I thought they announced that already, but this soon is sooner than the last soon, by pure fact that it happened later in time. If you want to read the official Blizzard post, you can find it here. As I discussed in my previous post, Blizzard is toying around with the idea of releasing a game time for gold option. Today they released a more in depth post about how they're planning to implement it. If you want to read the post in it's entirety, you can find it here. If you (quite like me) only care about how this effects the avid gold maker, not the average player buying the token to sell for gold, it's pretty cut and dry. The tokens can be bought from the Shop (in game or otherwise) for $$$, and are worth 30 days of game time. Blizzard has not specified for how much real money (TBD), but one would think somewhere in the $15 range. I believe Blizzard's true motivations in doing this will show when the pricing comes out. Right now they're claiming it will cut down on illegitimate gold selling and stealing of accounts. To me if they price it over $15, Blizzard will be making a statement, because they will now be making more than they previously would have had the player who uses the token straight out paid for their subscription, and their true motivation - money, not to improve the game environment - will be clear. @PhatLewtsGold any update on the transmog list? Anyway, the groups are reorganized to the most recent TSM Global Market Prices, and sorted accordingly. As always, with these new groups, ignore the defunct group, as it has dropped below my lowest threshold (or not if you really don't want to). One effects of adding the raw material traders in 6.1 is that mats now have a more solid floor under their price. For most mats this means they will go up in price, for others it won't do much (see Enchanting). Another thing this does though, that's possibly more important, is establish relationship prices between mats. At the time of this post we've seen the fur trader, ore trader and currently have the enchanting trader on US servers. An interesting phenomena has occurred on my server in particular, which doesn't overly surprise me, but leaves me scratching my head. Yesterday on ore's first day the prices shot up from under 1g per piece to over 2g. Even now the price is hovering just under 2g the day after. That is fine and dandy, and more expensive mats means more profit in general so I'm happy to see it. What surprises me though is that herbs have not yet equalized to ore prices. Just a quick update to let you know that I've updated my transmog list to show the most current and up to date information as far as TSM global source grouping. For more information, feel free to check out my last post on this at this link. Enjoy! List HERE!